Congrats to Jocelyn Kowalczyk, last week’s ‘Where Are We?’ winner. 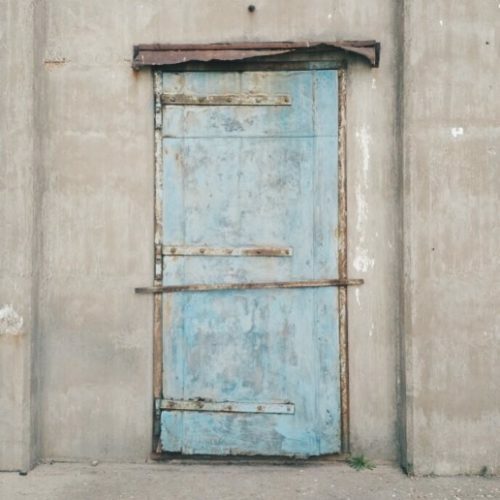 We got a little trickier last Friday and posted the doorway to an abandoned silo at Canalside by RiverWorks. Surprisingly, a lot of you knew exactly where we were–some of you down to the exact silo. Props to you guys. We mentioned the silos when posting about Canalside, but they’re cool enough to warrant their own post. The grain elevators that line the water have been around forever. Until recently, the majority of them were unused. With Buffalo’s rebound and the rising prominence of Canalside as the city’s place-to-be, the silos have been repurposed for your viewing pleasures. Every night until 11pm the silos serve as the template for a seasonal light display. If you haven’t been already, we suggest you fix that ASAP! For more about the display click here.